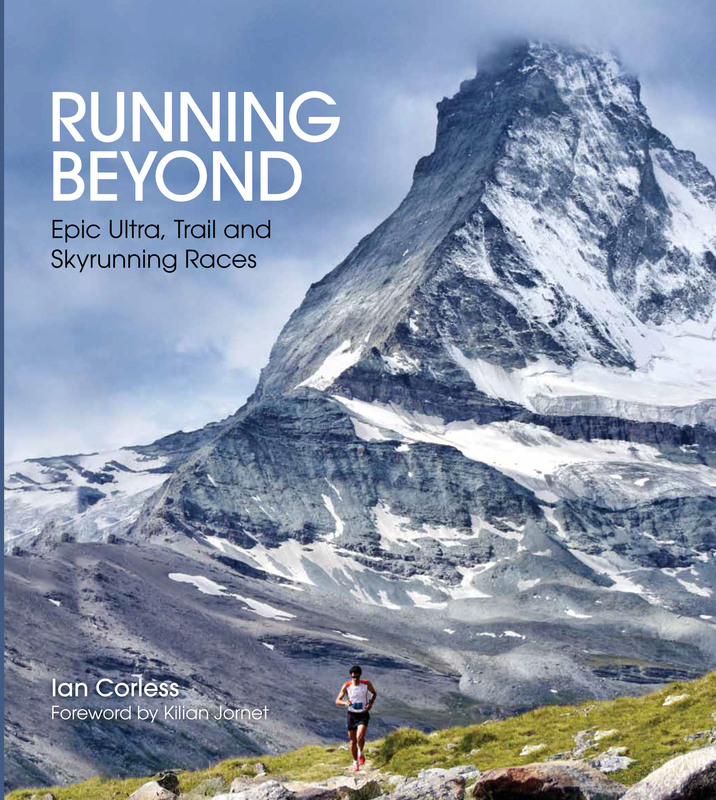 UTMF will be a VERY different race this year. First and foremost, the race date has moved from early in the year to late in the year; this is significant! Another important factor is the course. 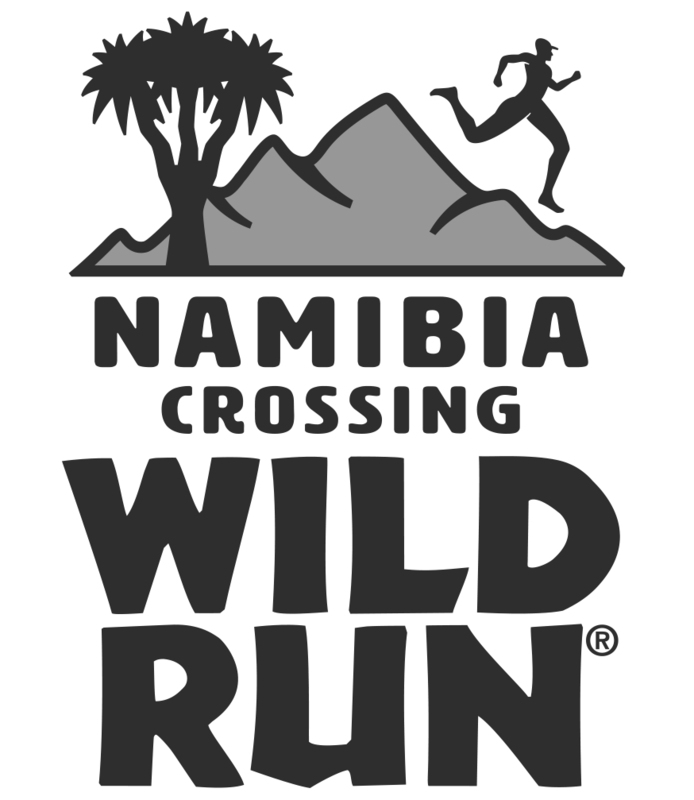 For 2015 (the 10th edition) the race will be run counter-clockwise and as such all the climbing and difficulty will come in the early stages and therefore leave the more runnable sections for later in the race; again significant! 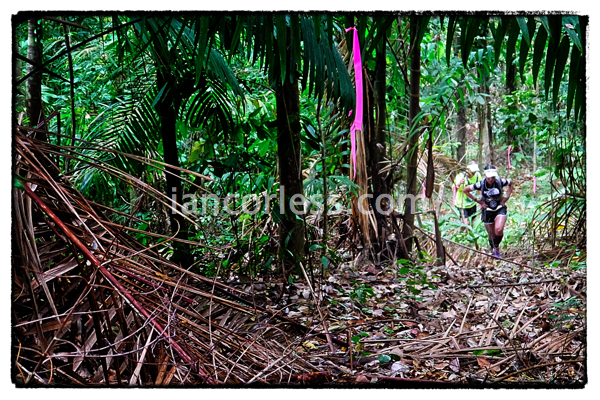 With around 8500m of climbing and a distance over 100-miles (105) this race is a real challenge. 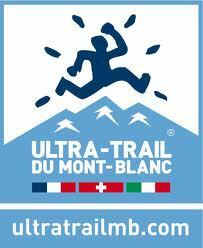 However, for me this years UTMF may very well be all about the UTMB. Yes, UTMB was only 4-weeks ago and we all know the devastation that took place in and around Chamonix. It was carnage! 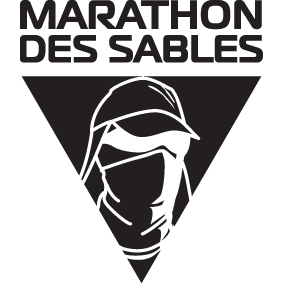 Much has been discussed about the DNF’s and failures at UTMB and unfortunately I think it’s a sign of the times. 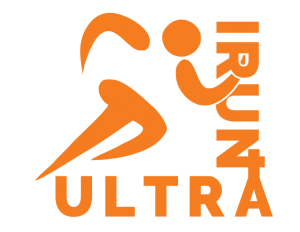 The racing calendar is full and race series like the UTWT encourage runners to race regularly 100km+ and 100-miles often; is too much? Francois D’Haene and Nuria Picas dominated the calendar in 2014 and where have they been in 2015? Just look at the start list here at UTMF. Many of the key players are runners who had tough, below par or DNF’s at UTMB. Fernanda Maciel dropped with 2/3rds of the race done with severe foot pain. Gediminas Grinius dropped with over 90-miles completed. Sondre Amdahl dropped with just over a marathon covered. Jeff Browning dropped with a twisted ankle. Of course, this is not all the favourites at UTMF but a pattern may be forming? All of the above have raced at one or more of the following: Lavaredo, HK100, Transgrancanaria, Western States, UTMB and now they line up at UTMF and I wonder how many post UTMF will travel to Reunion Island to take on the Diagonal des Fous (Raid de la Reunion). For many of the runners that will be 3 big 100-milers or a combination of 100-miles and 100km+ in relatively quick succession. The body may take it in 1-year but can it take year-after-year? I merely raise the question? THAT is a million-dollar question. Keeping in mind what I have said above, we can still expect Grinius, Amdahl and Browning to figure at the front of the race providing they have no issues. Sondre Amdahl (interview on Talk Ultra) should be the freshest of the 3 as he dropped early at UTMB and therefore it was probably just like a typical training run for him. However, what caused the ‘failure’ of his hamstring at a race that he obviously prepared meticulously for? 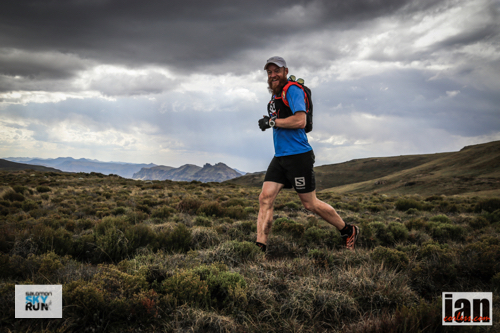 Jeff Browning (interview on Talk Ultra) loves the long and hard races. He dropped at UTMB but I am pretty sure he will be recovered here. He lacks some of the speed of the competition so although I think he will be in or around the top 5-10 I don’t think the podium could be his. Gediminas Grinius (interview on Talk Ultra) has continually impressed. He loves the long hard races and he closes like a demon. I do worry that he is just tired though? I may be wrong. 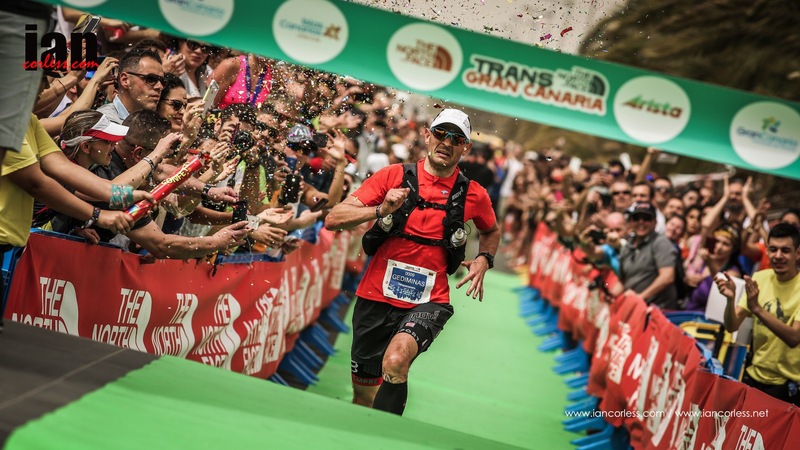 He has the race and skill set for UTMF, pretty sure he would have prepared the course the other way around but Transgrancanaria finishes with a very runnable last 20km and look what he did there! 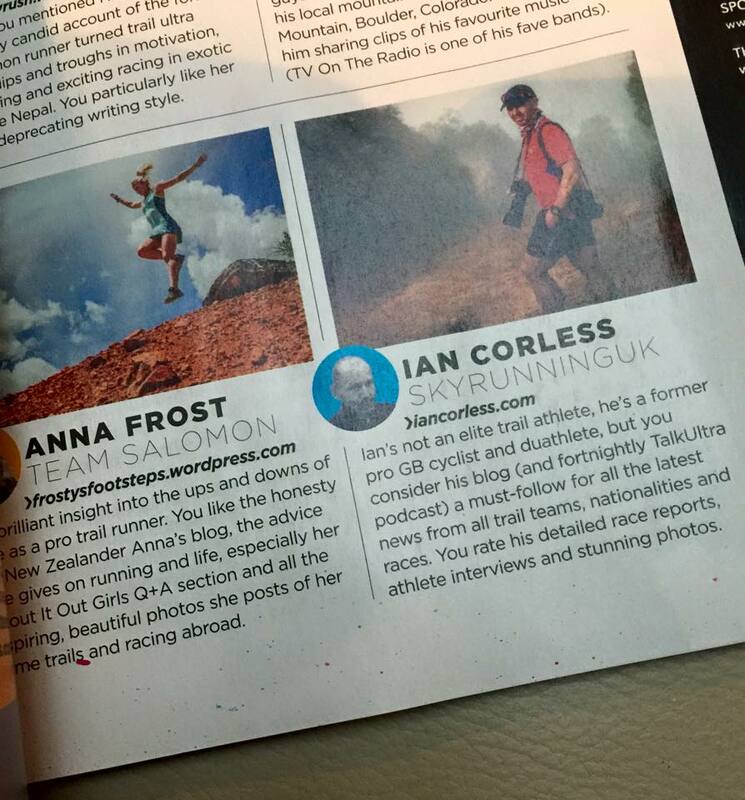 Okay, so that is the UTMB contingent done and dusted and arguably I am now talking about who may win the race? 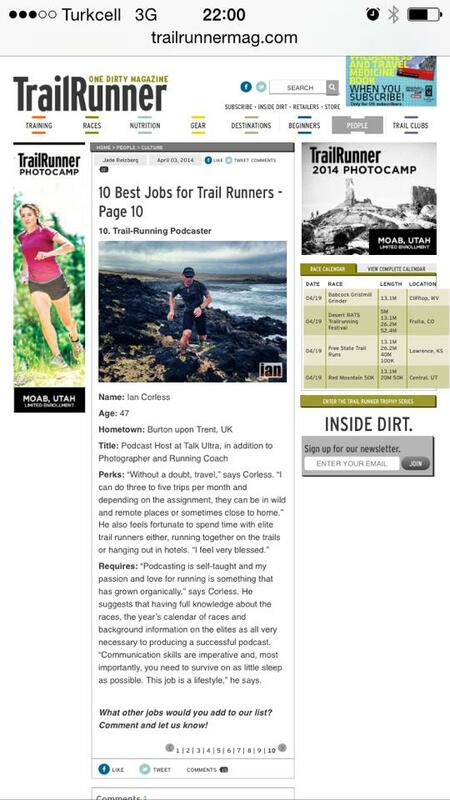 Gary Robbins has had a steady year with a great FKT (interview on Talk Ultra) and becoming a new Dad just a few weeks ago. He just missed the podium in 2013 and I think a podium slot may well be his this year. Brendan Davies is a runner who I should add to the exhausted list above! He just ran the Worlds 100k and this year he did TNF100, Western States and Transgrancanaria where he had a really tough day out. He has potential to be on the podium BUT…. That leaves Didrik Hermansen for the top slot and if all things go well I think he can do it. 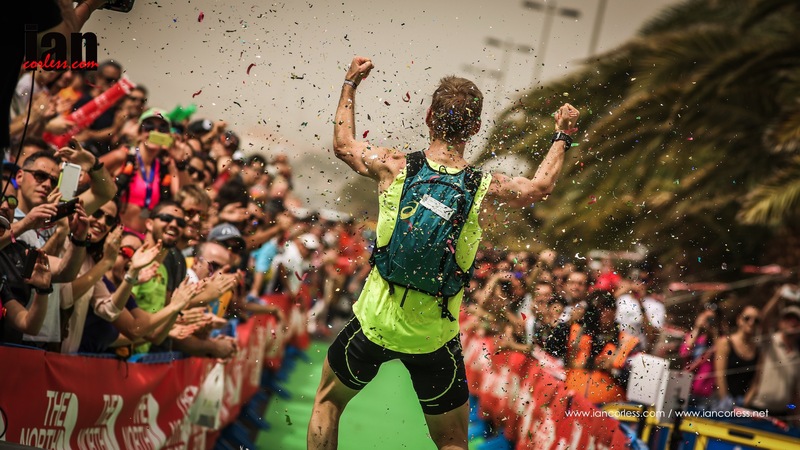 He has the running legs for the latter half of the race and as he showed at Transgrancanaria and more importantly Lavaredo (where he won) he knows how to get the job done! As one would expect the start list is extensive at UTMF and I have picked out some key names. For sure I will have missed some other key players, in particular the local talent who I am less familiar with. Anyone we should look out for who can take a podium place? Uxue Fraile made the podium at UTMB and considering my thoughts at the beginning of this article, can she be recovered? Actually, I think yes? I saw Uxue at the weekend spectating at Ultra Pirineu and she looked fresh, enthusiastic and excited for the race ahead. Her talent lies in the waiting game and more often than not she picks up the pieces as others fall by the wayside. I think we will see a similar strategy here at UTMF. Don’t be surprised with a podium place! Fernanda Maciel was also spectating in Catalonia at the weekend! Her UTMB experience was far more dramatic and maybe traumatic that Uxue’s. Without a doubt, Fernanda has the race for UTMF as she proved last year with 2nd. Can she put the record straight so soon after UTMB? Amy Sproston dropped at UTMB with approx. 100km in her legs. She can recover from that I think. Significantly (like Gary Robbins) she is a HURT 100 winner and that will be useful here at UTMF. It’s going to be a long day out! Victory may well come from Aliza Lapierre. 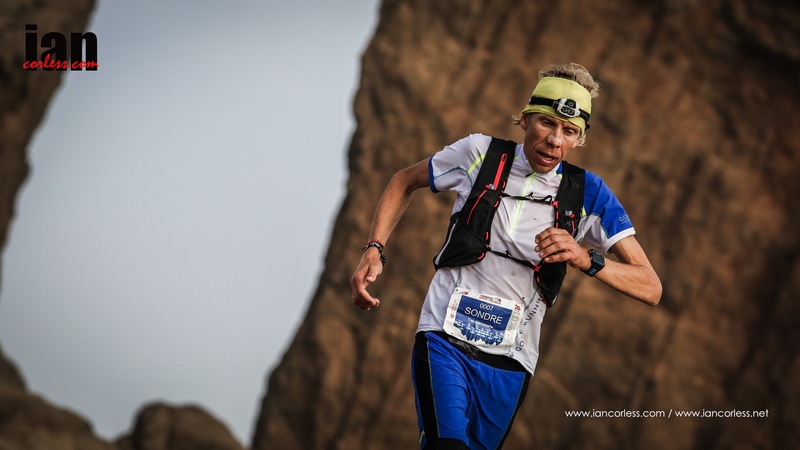 Her 8th at Transgrancanaria was off the lead ladies pace but significantly she placed 4th at Western States and has raced little since. At this point in the year with a whole bunch of tired legs around her, Aliza may well be the best option to fade the least. Dong Li placed 3rd at Transgrancanaria with a breakthrough performance, she was 2nd at HK100 and won TNF 100. Add to that a 4th place at Mont-Blanc 80km and like Aliza she may well have fresh legs for the UTMF. She is going to need them though… as far as I know, this is the first time she will race 100-miles. This is a tough debut for the distance! Shona Stephenson has raced well here in the past and with fresh legs she may well be a contender for the podium if not for the win if everything goes well. Nora Senn may well turn a few heads and then like the men’s race a whole wealth of local talent will infiltrate the top 10. It was always going to be touch and go… unfortunately, it is go. Lizzy Hawker has struggled with injury for much of 2013 and despite running at Sierre-Zinal recently, Lizzy has been forced to withdraw from the 2013 TNF UTMB with another stress fracture. Of course, this is devastating news for Lizzy and the race. Lizzy is the Queen of UTMB and we want her here, not only so that she can chase the course record she so desires but also to allow the other ladies to race the best. Another main contender for the overall, Emelie Lecomte has been forced to withdraw due to injury. Emelie is a strong performer over the long races and a lovely person. I for one am disappointed not to see her toe the line. She placed on the podium at Ronda dels Cims earlier this year but has struggled ever since. So, who are the ladies to watch? 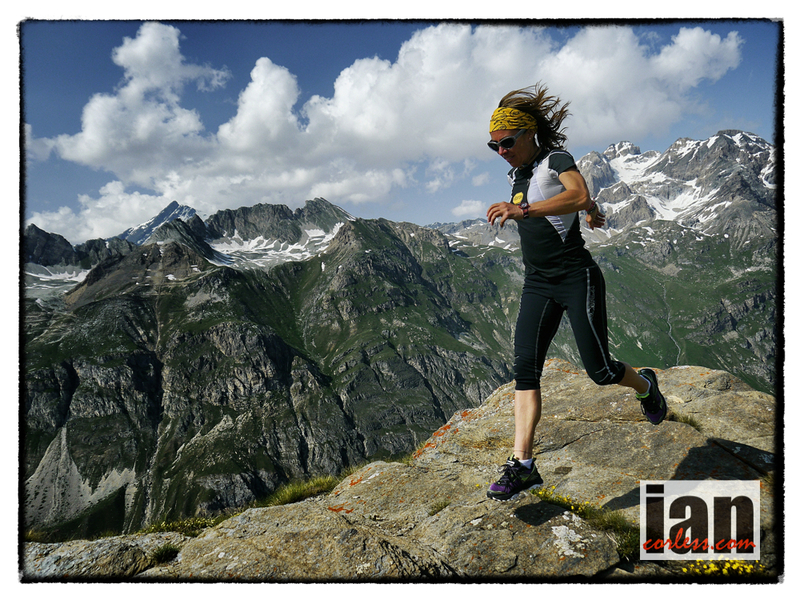 Francesca Canepa (Vibram/Montura) was 2nd in 2012 and then just one week later turned up at Tor des Geants and won! Without doubt, a remarkable double. Francesca likes long, tough and hard races. For sure, a shortened TNF UTMB as it was in 2012 in theory, would normally not suit her yet she still placed 2nd. That has to be a worry of all those that will line up against her on Friday. This year she has raced and raced. A very impressive and dominant win at Ronda dels Cims is probably the most significant result going into this race, however, Francesca placed well at Ice Trail Tarentaise and won the Eiger Trail. Recently she ran Speedgoat (not a race for her) and she placed 10th. All in all, Francesca is the outright favourite for this year’s race now that Lizzy and Emelie are not running. Emma Rocca (Buff) placed 3rd last year and is a consistently good performer with plenty of experience. For example, she has raced at Marathon des Sables (2nd in 2011) and just recently had a great run at Speedgoat with 4th place. That shows great depth over multi stage, single stage and also shorter faster courses. Without doubt, Emma is podium potential once again for this year’s race. The most exciting prospect for the 2013 race is Nuria Picas (Buff). This is Nuria’s first 100-mile race and that for sure will be the biggest stumbling block. However, if she can hold the reins back, take it easy over the first two thirds and then use her speed and skill in the final third, then we may well see Nuria top the podium. Nuria had an incredible 2012 dominating the Skyrunning calendar, she had three great wins at Trofeo Kima, Cavalls del Vent and Templiers, and she also placed second behind Frosty at Transvulcania. 2013 has been an equally great year, however, she has been chasing Emelie Forsberg around the Skyrunning calendar and has placed a super consistent second at Transvulcania, Zegama-Aizkorri and most recently Trans D’Havet. She is without doubt one to watch! Three US ladies make my ‘hot contenders’ for this year and first up is Amy Sproston (Montrail). Amy is a 100k champ and placed top 10 at last-years UTMB with 8th overall. On paper, Amy can most certainly be top 5 at UTMB and if she has a great day, maybe top 3. Significantly, she placed 3rd at Western States, two places ahead of Rory Bosio. However, I think we will see those roles reversed in the Alps but as we all know, anything can happen. Meghan Arbogast (Scott) was in Zermatt last weekend for the Matterhorn Ultraks but she only ran the short race as a loosen up for this weekends fun. She was looking strong, relaxed and confident. Her 4th place at Western States certainly means that everything is in place for a great tour of the Alps. 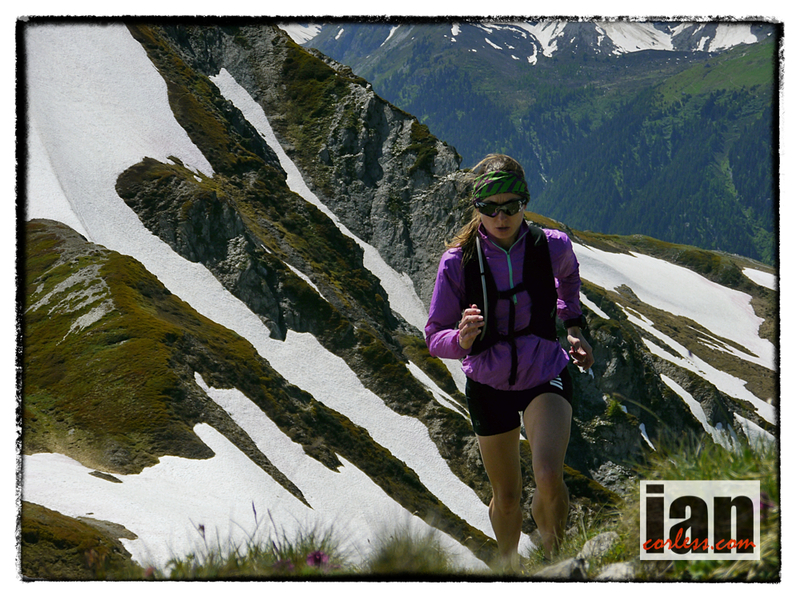 In 2012, Meghan placed 12th at UTMB and for sure she can move up and be top 10. A great day and she may well push top 5. Rory Bosio (The North Face) placed 4th in the 2012 race over the shortened course and was some time behind Francesca Canepa. Rory’s recent 5th place at Western States is obviously a great race and a great boost, however, I for one thought she would make the podium. Post WSER, Rory has spent plenty of time in Europe and therefore will come to the race adapted and ready to push for the podium and top slot. 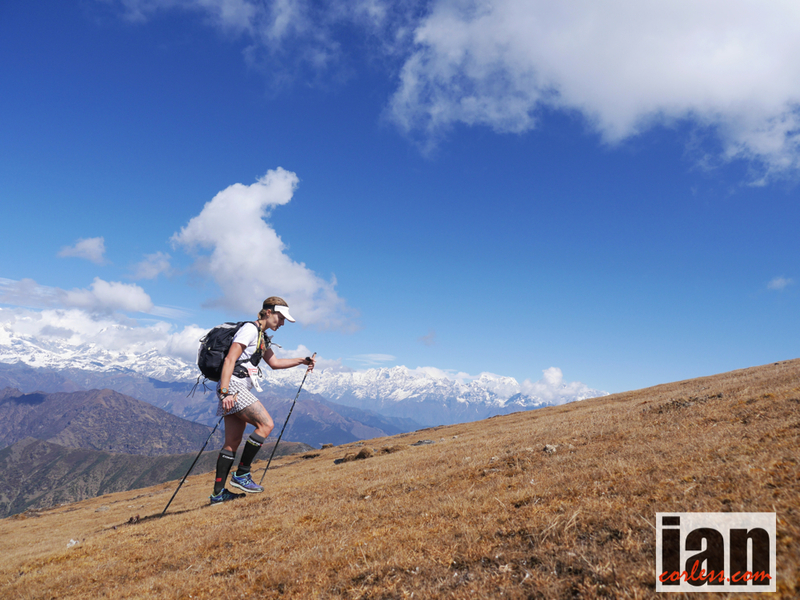 Shona Stephenson (inov-8) is making the long journey from Australia and arrived a day or so ago. Shona has already spent time in the Alps racing at the Mont Blanc VK, Mont Blanc Marathon and Ice Trail Tarentaise (she dropped about two thirds in). 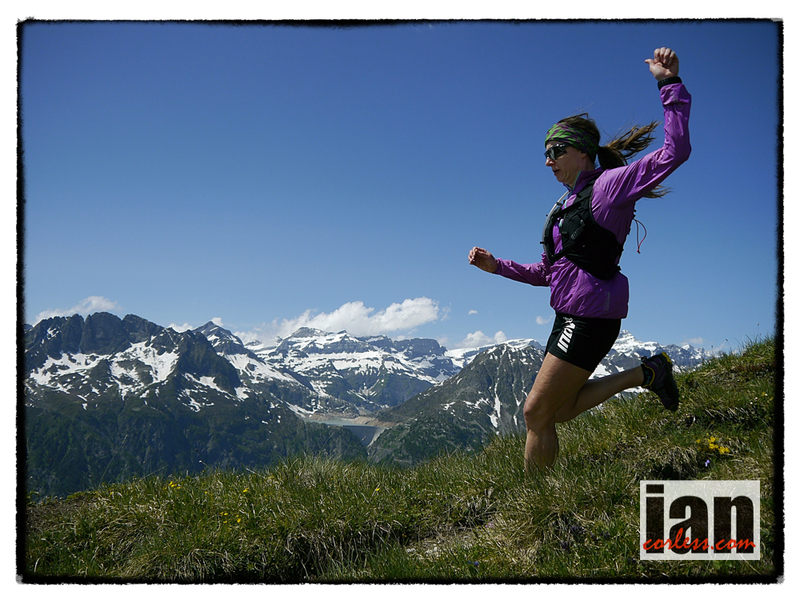 She also spent a great week with the inov-8 team testing new apparel and shoes in the mountains. Earlier this year she was performing consistently well with a win at Tarawera, a great 2nd place at UTMF and a win at Northburn 100. She like the longer and harder races and although she has limited European racing experience, if she is in the right frame of mind and feeling good, then we may well see Shona on the podium and I would expect a top 10 to be guaranteed. Katia Fori (Technica) has raced twice at UTMB before placing 5th and 7th. Of course, being an Italian is a great advantage, as she will understand the terrain, mountains and the weather. This is a key to racing well over the Alpine course. In addition, she knows how to survive and spend a long time in the wilderness; her 4th place at the Tor des Geants proves this. In reality, I don’t see Katia making the top 5 but it only takes one or two to have a bad day and Katia to have a great day! Helen Cospolich (The North Face) is a three times finisher at UTMB, her best performance came in 2011 with 6th. She has the super strong TNF team behind her and although she placed just inside the top 20 last year (17th), I would imagine that she could do better. It all comes down to the day! This year looks to be dry and warmer (at least in the day) and that will make her feel better for sure. Another TNF (The North Face) athlete is Ligia Madrigal. 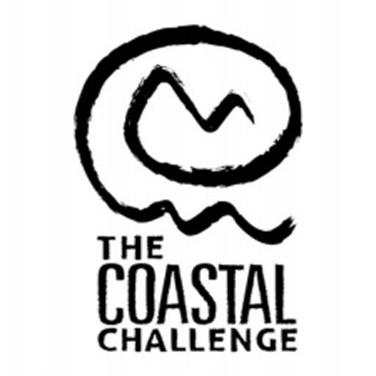 Ligia is Costa Rican and I actually ran with her on several occasions at this year’s multi-stage, The Coastal Challenge; a race she has won and placed 2nd at in previous years. This year she didn’t have a great race and dropped. Although she places well in Central and South American races, UTMB will be a steep learning curve for her. She will do well to place in the top 20 and if she makes the top 10, she will have had a great race. Completing the TNF line up is Ru-Ling Xing. I would be lying if I knew much about Ru-Ling however; her stats show top 10 results at TNF 100k in China and 3rd at Vibram 100k. She has raced at UTMB before but finished outside the top 20, if she edges into the top 20 this year she will have had a good race. 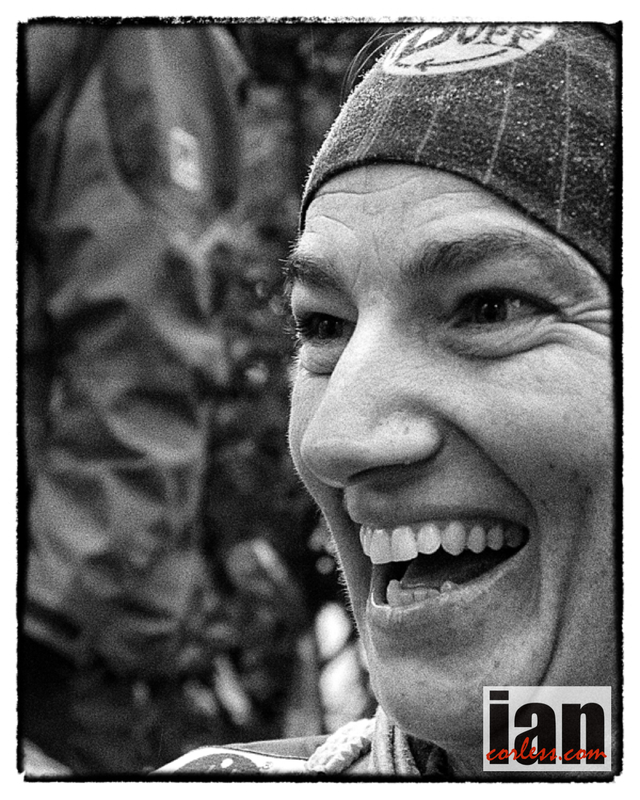 Nora Senn has placed 3rd overall at the tough UTMF in 2012; great grounding for the UTMB. Earlier this year she won Lantau 100k so I am sure she will be looking to put the record straight after dropping from UTMB last year. She has the potential to surprise a few people, however, best-case scenario will be top 10. I don’t see Nora contest the podium. The ladies race may not have as many possibilities as the men’s race, but with Lizzy Hawker not in the race, it is wide open for a really exciting and competitive race up at the front. Without doubt I will have missed several ladies who will make the top 10 and for sure make the top 20, so, if you know anyone let me know. Will we see a surprise performance from one of the ‘100’ newbies? Who will be the best placed US runner? It is with great pleasure we announce that Giorgio Calcaterra (ITA) and Mami Kudo (JPN) have been voted as the Athletes of the Year 2012. Both athetes have had an outstanding season and have proven themselves over and over again under pressure. The athletes were voted by member federations and the IAU Executive Council. Calcaterra is a repeat winner of this award having won it last year as well mirroring his world championships in the 100km World and European Championships. Kudo is a first time winner and was nominated based on her world best performance in the 24 hour. The IAU would like to congratulate the winners and also all the athletes who made the short list. 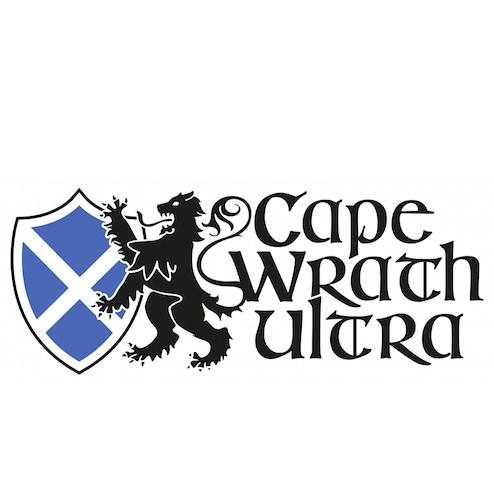 It was truly an outstanding ultrarunning season. We are looking forward to another exemplary performance season in 2013! 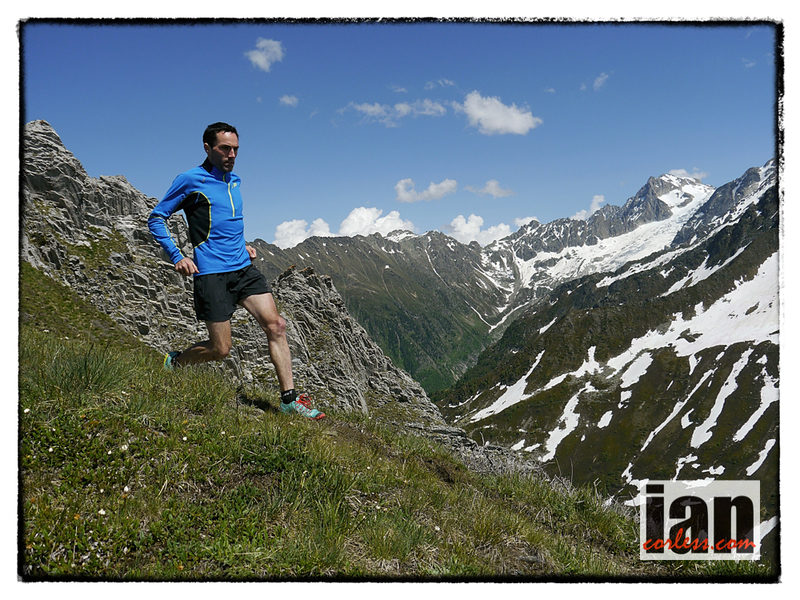 With just over 24 hours to go to the 2012 TNF UTMB here is just a quick look at some of the contenders for this year’s race. One important factor is the weather! The race organisers have been tweeting, texting and posting as much as they can about the severe weather that is predicted over the race weekend. It would now appear that a ‘mandatory’ 4 layers of clothing will be required. Forget being lightweight! Finishing anyone of the races this year in Chamonix may very well come down to how good your kit is. Will the course be shortened I guess may very well be one big question. My gut reaction is no! Lessons have been learnt from previous years and I think the process of ‘pre-warning’ via text, email and social media is all in attempt to ensure that all participants are prepared. The 2010 shortened race made the UTMB organisation re look at mandatory kit and increase what was required for 2011 and 2012. It would appear that they are now ‘adding’ to this kit pre race to compensate for worsening conditions. Having said that, safety is paramount and should conditions become extremely dangerous I am sure they will have no issue in ‘pulling the plug’ and I agree and support that. Firstly, Ellie Greenwood has moved down from the UTMB to the CCC and I predict a win for her! The terrain on this course may not be what she is used too but the cold and snow is something she is well practiced in and actually I think she may even welcome it! Krissy Moehl is the course record holder and loves the UTMB but she has had a busy year with Western States, Hardrock and mow UTMB. She knows what is needed on this course and she has the invaluable experience. If she is fresh she will be up at the front with Lizzy Hawker. Amy Sproston has placed well at Western States but UTMB is a whole new ball game for the 100k-world champ and I have to say she may well be in for a surprise. Lizzy Hawker loves the course and I wouldn’t bet against her. I spoke to her at Sierre Zinal and she was racking the training and was running the UTMB course in 2 days as ‘training’. She has some issues with her back but even with this issue, the mountains are her playground and she will take the win barring disaster. Emma Rocca from Spain is maybe a little more suited to the UTMB as she has a multi-sport background and is a ski mountaineer. Katia Fori from Italy has been top 10 at UTMB before and will once again contend. Dave Mackey has moved down to the CCC and Mike Wardian is out of the race due to a stress fracture. To be honest I don’t think either of those removals will make any difference to the UTMB outcome. Both are great runners but not in contention on this course. 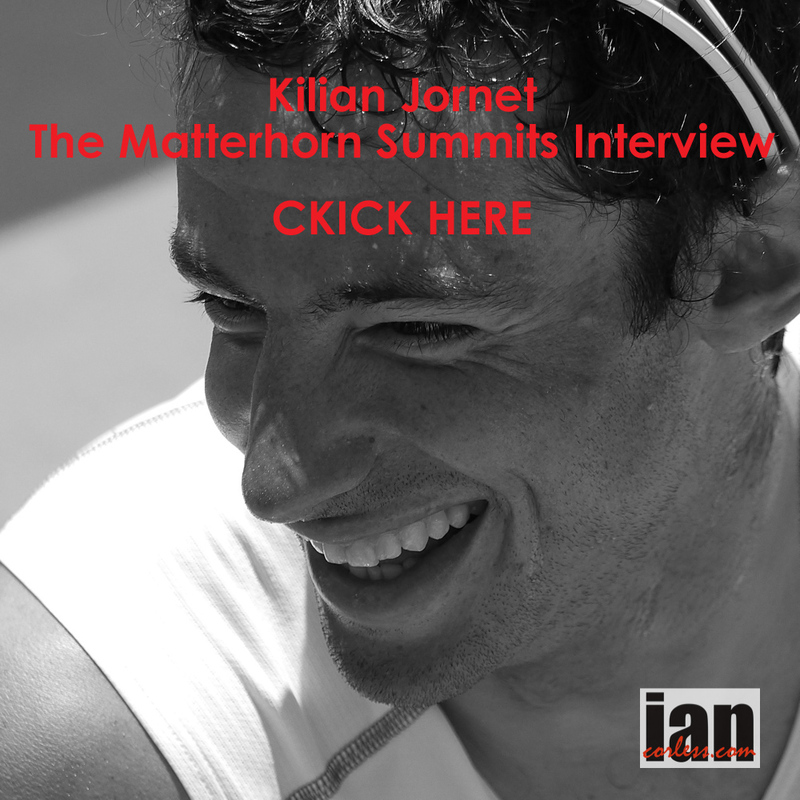 With Kilian Jornet not taking part (or will he?) the field this year is maybe a little more open. Jez Bragg after winning the shortened race in 2010 hasn’t fulfilled his potential but this may be his year. He didn’t race as he wanted at Western States but that may well have been a good training run for the UTMB. He is super motivated. Seb Chaigneau after 3rd last year told me that this may be his last UTMB but he recently had a bad accident and damaged his knee. He will start the race but who knows what implications this will have, He knows the mountains, he knows the course and he is tough. If the knee causes no problems he will be up at the front. Julian Chorier is the hot tip. He is in great form and meticulous in prep for the big races. With the Salomon Team behind him they will be going into this race with a plan. A plan to win. Other Salomon athletes such as Iker Karrera who placed 2nd in 2011 will also be chomping at the bit and we may well see Chorier, Karrera and Francois d’Haene all running together to help each other along until the latter more decisive stages. Francois d’Haene has a good year this year and he will be in the top 10 if all goes well. Nemeth Csaba from Hungary placed 4th last year and knows the race well. He has finished multiple times in the top 10 and I guess he only needs a ‘perfect’ year to move onto the podium or take the win. He did after all finish 2nd in 2006. Tsuyoshi Kaburaki, Carlos Sa and Patrick Bohard all paced top 10 in 2011 and return to the 2012 race. Although Kaburaki finished behind Sa and Bohard you can’t help but think a good race will move him up the field and place him top 5. In 2009 he was on the podium in 3rd and the previous year he was 4th. Jonas Buud from Sweden is super quick and his 100m-world record of 12:32 confirms that. But just like Ian Sharman, this speed doesn’t translate to the high mountains. He has won the Swiss Alpine Marathon though. He may make top 10 but not top 3. I will be in Chamonix over the race weekend and provide updates and news as and when I can. Without doubt an interest race lies ahead.